The HTC family welcomed a new member yesterday – the HTC 10. 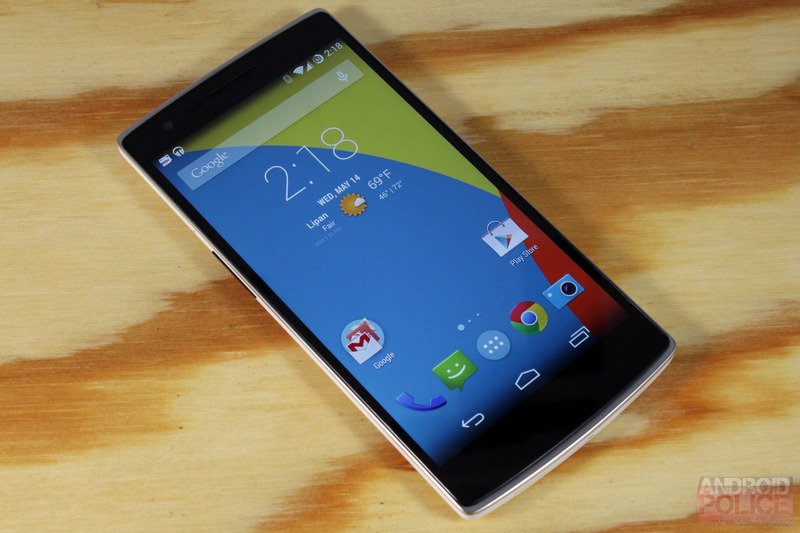 From our initial impressions, it's a pretty sweet phone that packs some impressive hardware and software. However, the 10 isn't the only phone HTC makes, and it can be difficult to keep track of changes from one product generation to the next. With that in mind, I've put together a handy-dandy chart for you, our dear readers, so you can compare HTC's last three flagships spec by spec*. As you can see, the HTC 10 is bigger, faster, and more powerful than its predecessors, but it also comes at a steeper price. 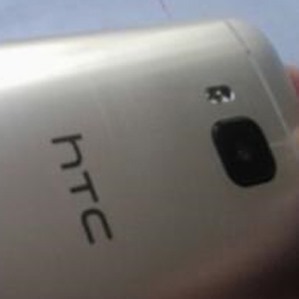 A new HTC flagship phone is coming. You probably already knew that. 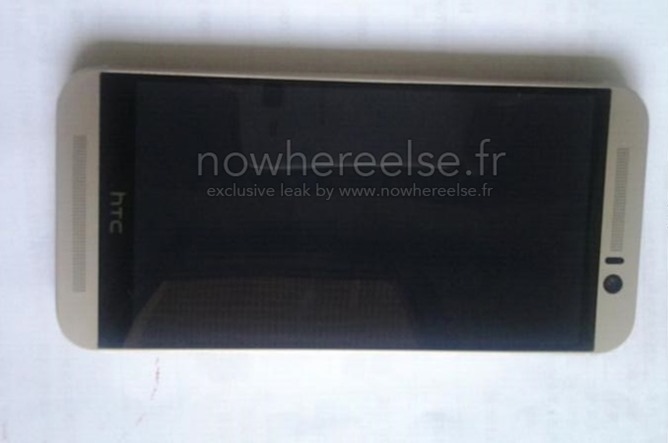 But the first possible (and frankly, quite probable) look at the device came today from the folks at NowhereElse.fr, a French leak site. Two photos show the front and back of the device, which follows the general design of the One family with a couple of important differences. 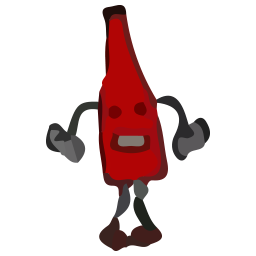 The photos at the original website were taken down at the request of the anonymous source... which is usually a pretty good indication that they're on to something. The source refers to the phone as the "HTC One M9," and though we obviously can't confirm it ourselves, it seems like a pretty reasonable jump for the Taiwanese manufacturer. 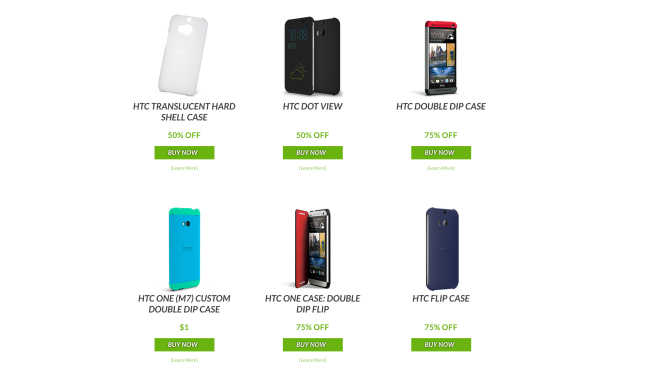 HTC's offering up a different deal every Tuesday, and this week you can get up to 75% off Double Dip and Double Dip Flip cases for the HTC One M8. Other protective accessories are going for 50% off. 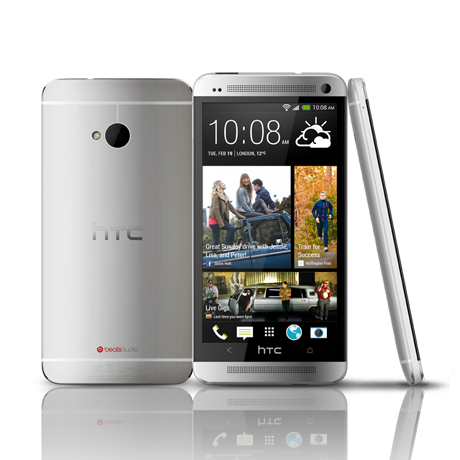 The best deal is reserved for the HTC One M7, for which you can get a customized Double Dip cases for just $1. You can't engrave your name Moto-style, but you do get your choice of color for each of the three components. Whichever case you go for, the discount won't show up until you get to the checkout page. 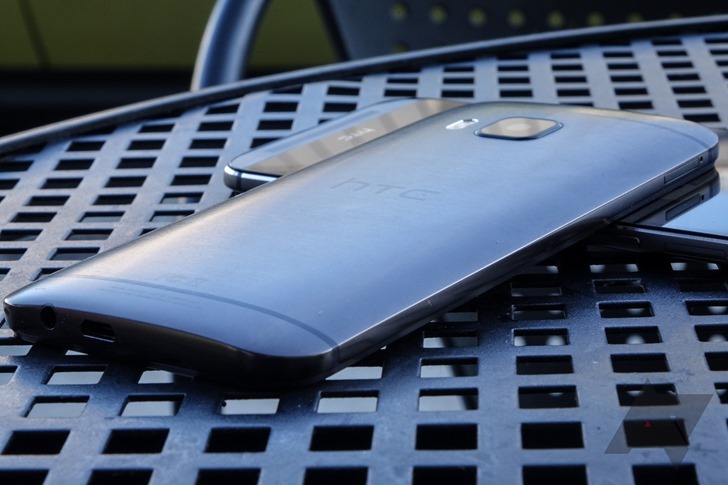 So while it may say the Double Dip case for the HTC One M8 will run you $29.99, the price will drop to $7.50 once you get ready to make the purchase.